Mi Casa– Mi Casa has been a favorite for locals since it opened in 1981. 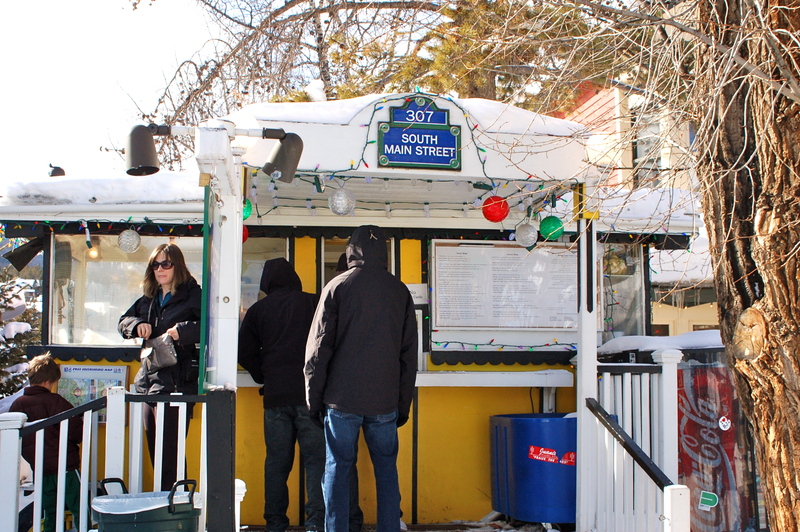 It’s located just across from the Village bus stop so it’s a perfect spot for happy hour after you hit the slopes. Just be sure to try out one of over 100 hand-picked tequilas or order up a house margarita. Request a table at the indoor patio and you’ll be treated to a view of the river. Mi Casa is located at 600 Park Ave and is open 7 days a week with happy hour served daily from 3-6 p.m.
Crêpes à la Cart– If you’re from New Orleans you know Crêpes à la Cart is delicious! 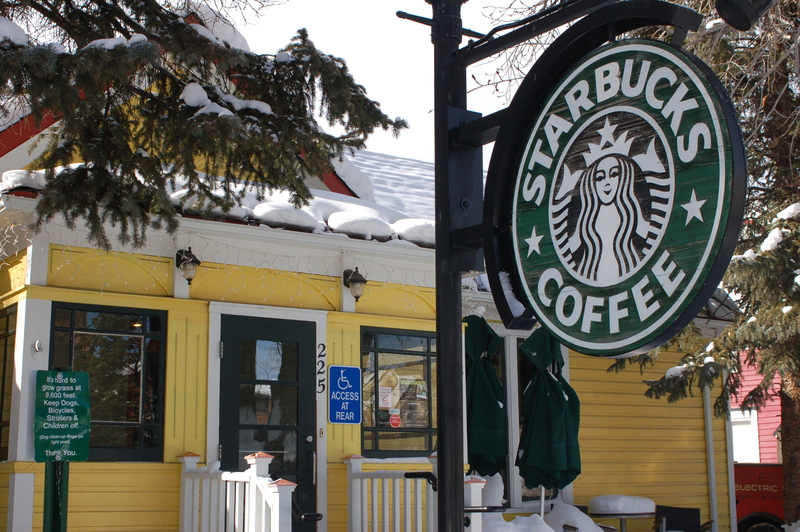 I love their Breckenridge location because it has a small storefront (no indoor access for customers!) but plenty of outdoor space. People flock to this Breckenridge hot spot for lunch, dinner, dessert, and even a late night snack. The shop keeps a fire pit going throughout the winter and on cold summer nights. Be sure to check out their menu to get your pallet wet and be prepared to wait a bit in line as it is quite popular year round. Crêpes à la Cart is located at 307 South Main St.
You can't miss the colorful storefront! 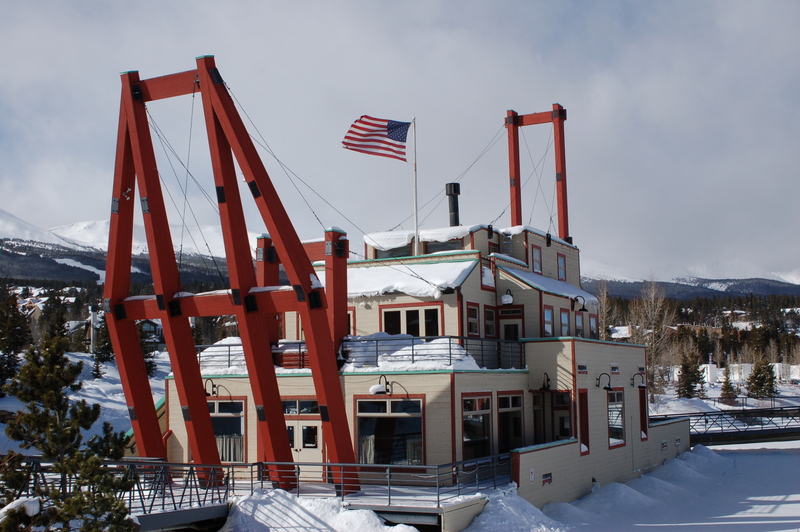 Relish– Relish is one of the nicest restaurants you’ll find in the laid-back town of Breckenridge. Don’t worry about dressing up, all you’ll need is a pair of jeans to enter this restaurant (no dress code though, really.) All of the food is inspired by Colorado so expect to see items like Colorado steak, lamb, wines and beers on the menu. From 4-6 daily they have a 2 for $10 happy hour menu. You get a drink and an appetizer for $10. It’s quite a deal and quite delicious! If you’re looking for some interesting food with a Colorado touch, this is the place to go. Hyatt Main Street Station– The Hyatt at Main Street Station is a great place to stay if you’re looking to be close to the slopes and town. They offer studios, two bedrooms, and three bedrooms- perfect for a family looking for an option of cooking on their own! The Hyatt is steps from Maggie Pond and the base of Peak 9 where you can rent skis, pick up lift tickets, and grab lunch. One Ski Hill Place– Rock Resorts newest property offers unparalleled views and access to the mountain. One Ski Hill Place is located at the base of Peak 8 with free access to the Gondola and ski rentals located just steps from your room. They offer rooms for families of all sizes ranging from studios to four bedroom condominiums. If you love your stay you can even look into purchasing at One Ski Hill Place! 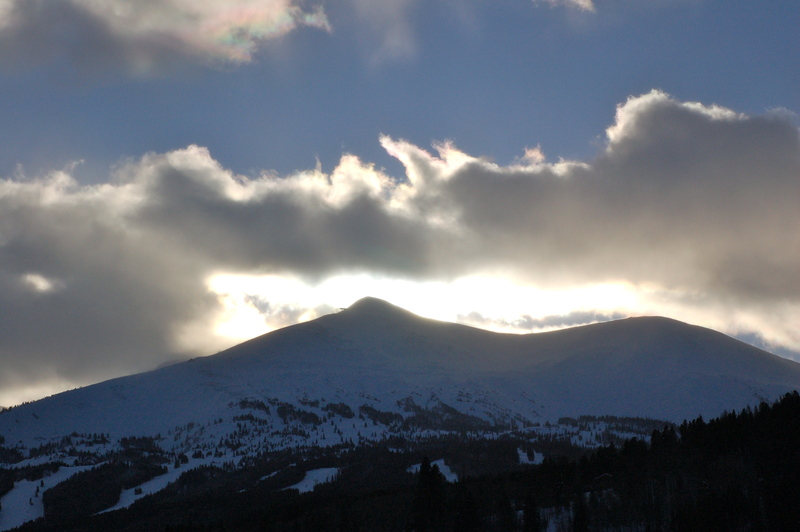 Ski Breck– Breckenridge offers a slope for all skiers from the beginner to the adventurous expert. This year alone they have gotten 297 inches of snow! They do a great job of keeping the trails groomed. Keep your eyes peeled on peak 8- you might just catch some freshly groomed trails behind a snowcat! For the rest of the season rentskis.com is running a special: Purchase a ski rental online and receive $10 in a meal voucher to be used for each day you rent skis. For the easiest access to the slopes be sure to rent from Maggie Pond (base of Peak 9.) Happy Trails! The Gold Runner Coaster– Breckenridge Mountain’s newest thrill is catching the attention of a lot of families. It is a mix between an alpine slide and a roller coaster. You are locked into the metal track like a roller coaster but you are able to control your speed like an alpine slide. I recommend buckling up and going full steam ahead! The coaster is $15 a person for one ride ($7 for 3-7 year olds) and is open from noon-4 p.m. year round. The Coaster is located at the base of Peak 8. Starbucks Coffee– Starbucks not only serves an abundance of coffee (up to six steps in ordering your coffee) but it also offers a quiet environment to read, do work, or simply be. Also, it offers free wi-fi so bring your laptop and enjoy a cup of coffee. Starbucks is located at 225 S. Main St. The O2 Lounge– The O2 Lounge is a fun way to feel better (especially if you’re suffering from altitude sickness) and enjoy a little bit of a different experience. If you aren’t sure about putting tubes into your nose they do sell cans of oxygen you can take home. The Oxygen Bar is located at 500 South Main St in the La Cima Building. Blue River Rec Path– The Blue River Rec Path is a great option if you’re looking to do some bicycling and enjoy some beautiful scenery. 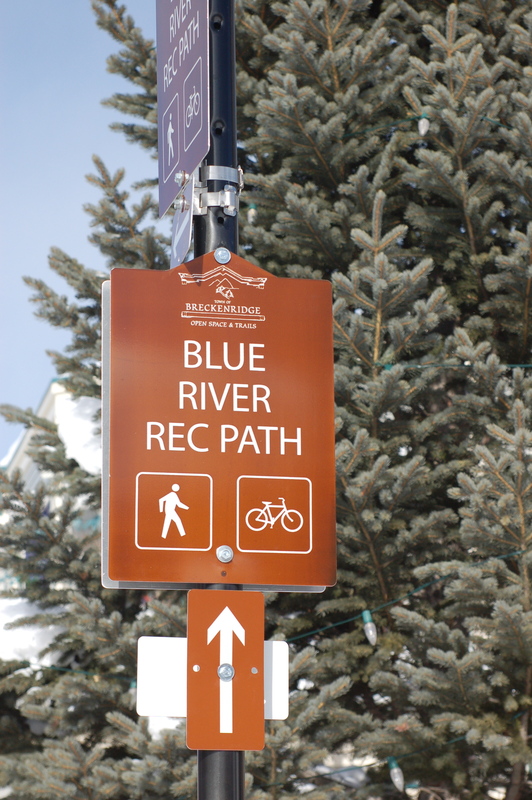 This 9.5 mile path goes from Breckenridge to nearby Frisco. In the winter it is often used for cross country skiing or snowshoeing. There are plenty of places to rent bikes but a good one is Alpine Sports. Happy Trails! 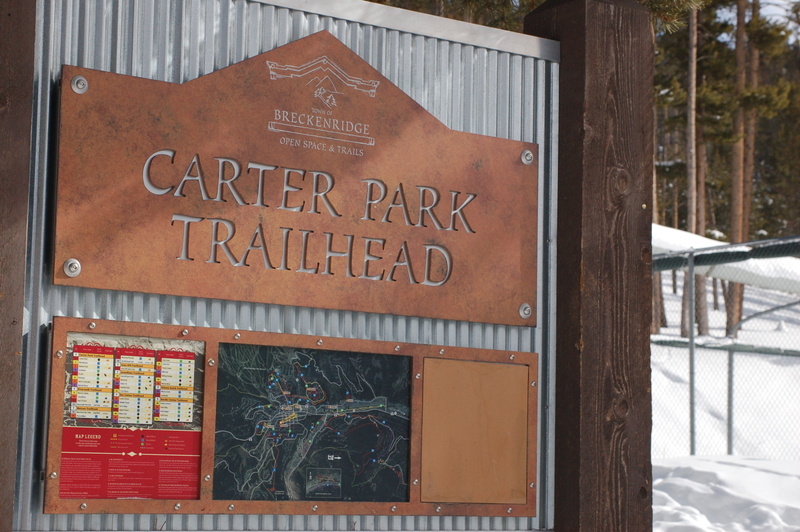 Carter Park– Carter Park has a lot to offer Breckenridge! Not only is it the only sledding hill in town (no sledding permitted on Breckenridge mountain) but it also offers trails, a dog park, and a pavilion. In the summer the trails offer some challenging downhill or uphill mountain biking. Carter Park is located at the south end of High Street next to Breckenridge Elementary School. This entry was posted in Travel and tagged Blue River Rec Path, Breckenridge, Breckenridge Mountain, Carter Park, Crepes a la Carte, Gold Runner Coaster, Hyatt Main Street Station, Mi Casa, O2 lounge, One Ski Hill Place, Relish, rentskis.com, Ski Breck, Starbucks, The Dredge. Bookmark the permalink. 2 Responses to Eat, Sleep, Play… Breckenridge! I wish I was there! Looks amazing. I was looking for blogs about Main Street Station in Breckenridge to share on our site and I came across your post…If you’re open to it, shoot me an email at jane(at)dwellable(dot)com.